File Paths are pre-defined application data or storage folder locations. 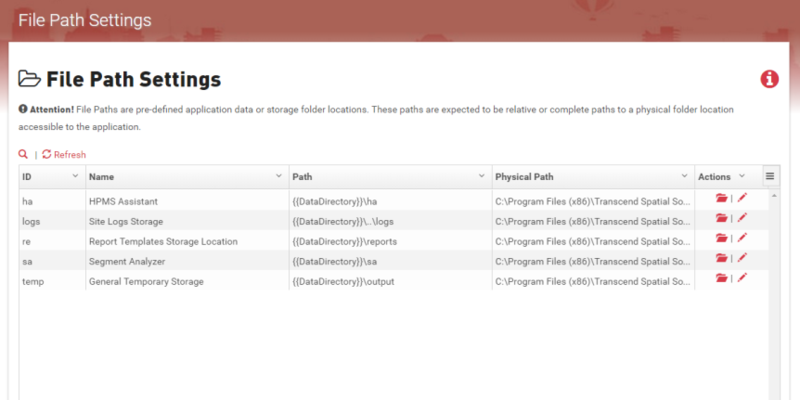 These paths are expected to be relative or complete paths to a physical folder location accessible to the application. These paths are automatically generated when App Manager and other Transcend applications are installed. With this feature you can view and edit the physical location on the server that the applications use to store any output. Locate the row for the File Path you wish to edit and click Edit (pencil icon). Make desired changes to the form input. 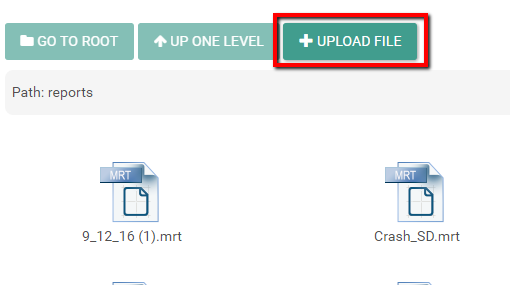 Locate the row for the File Path you wish to edit and click Explore (folder icon). When finished, click Back to List (located at the top and bottom of the page). The selected file will be uploaded to the selected destination.